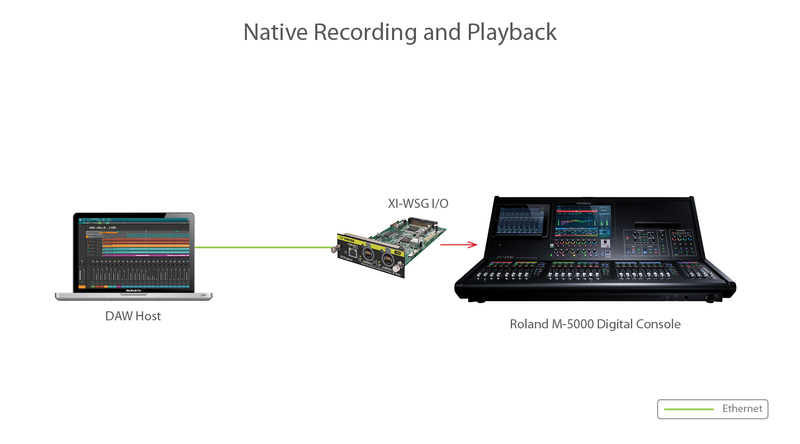 You can now run Waves compressors, EQs, reverbs, delays and other award-winning audio plugins in low latency directly from your Roland M-5000 live sound console. Used in leading recording studios, mixing rooms and mastering houses the world over, Waves’ industry-standard plugins are now at your fingertips behind your FOH or monitor desk. 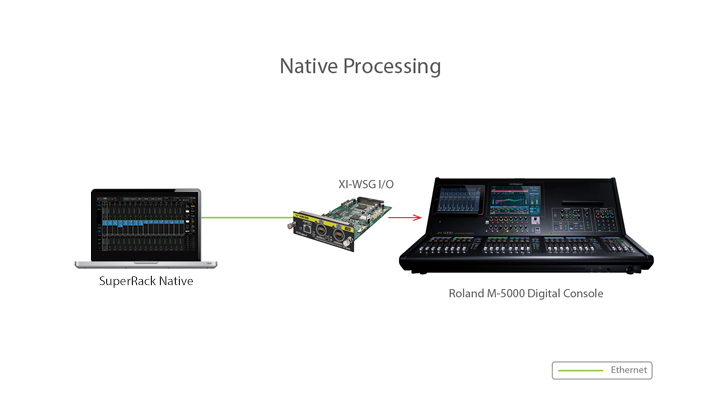 You can run plugins on Roland consoles in two different configurations: Native and SoundGrid. Native configurations use your computer’s CPU to process the plugins. This means that your plugin count and overall system latency depend on the computer’s CPU and sound driver capabilities. 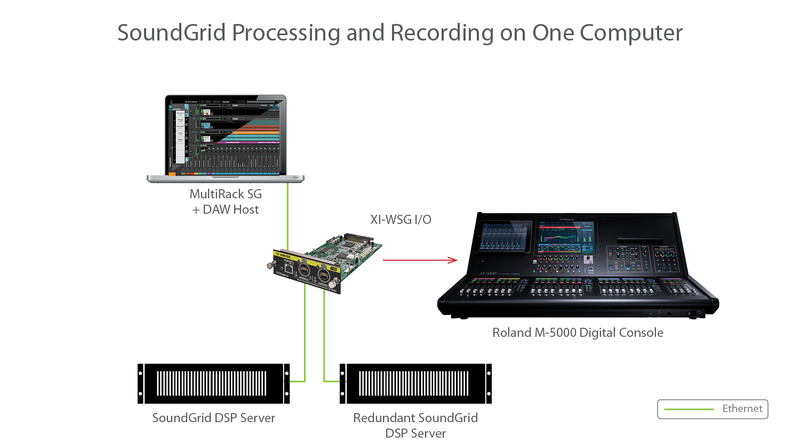 SoundGrid configurations use a dedicated SoundGrid DSP server to process your plugins. 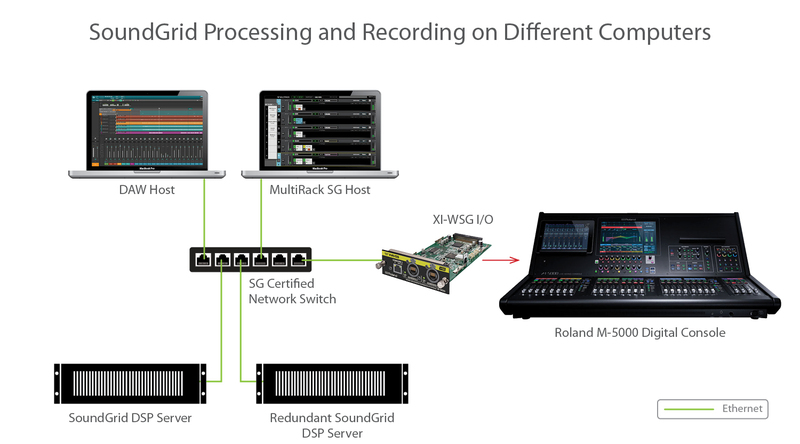 This enables you to enjoy high plugin counts, super-low latency, a redundant DSP server, and networking capabilities.